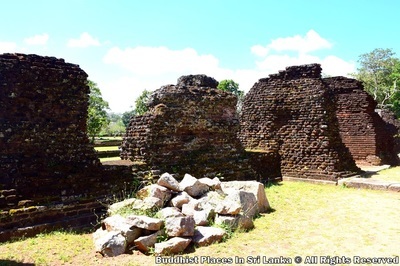 Architecturally this image house with a vaulted roof of brick masonry is a "Gedige" typed building. 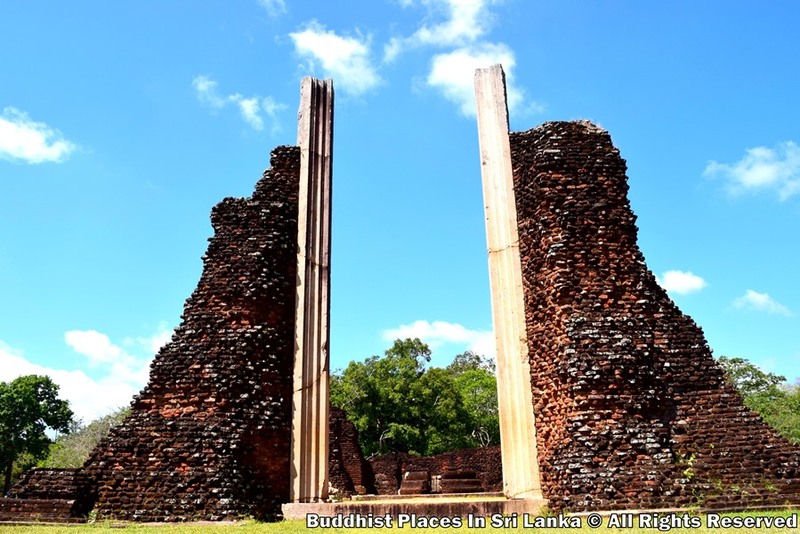 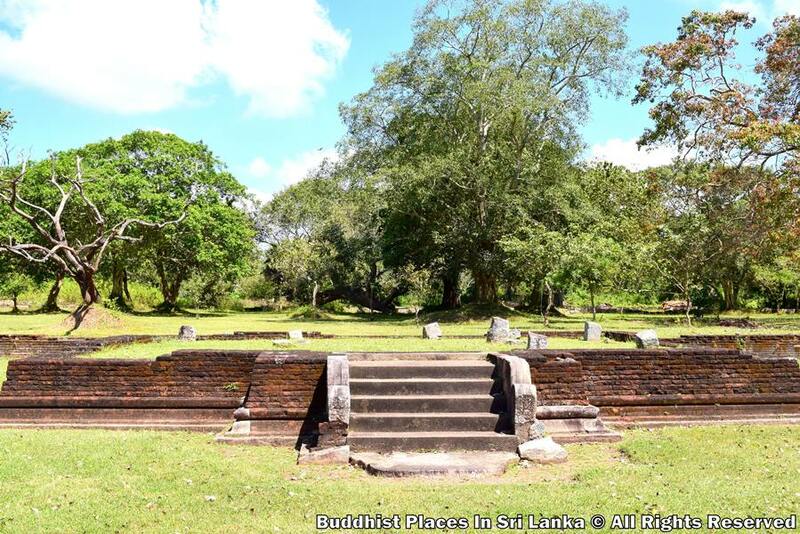 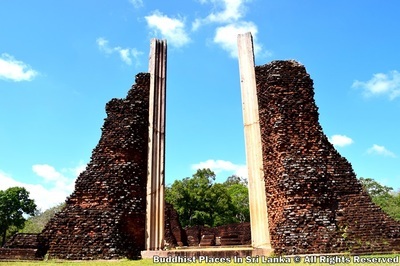 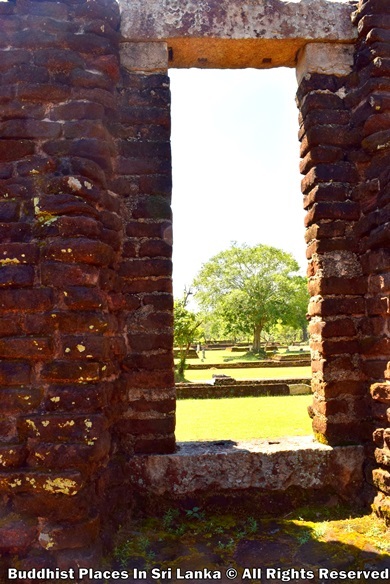 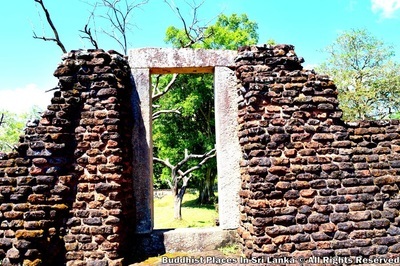 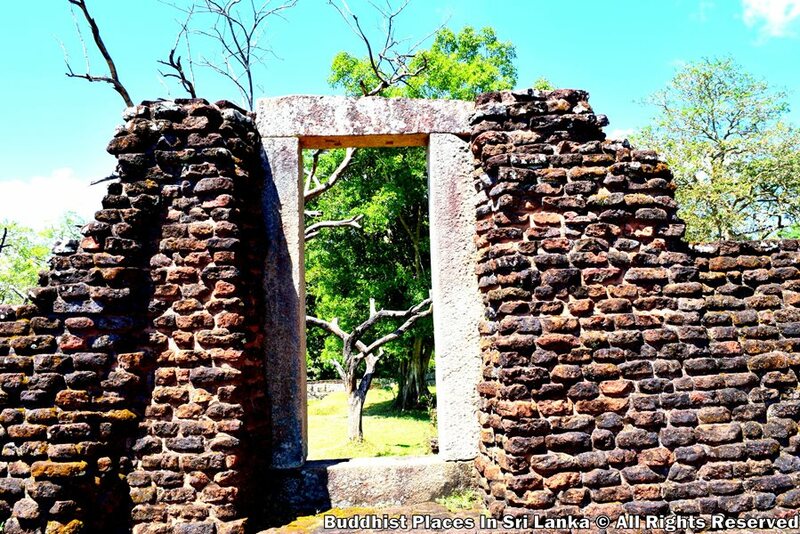 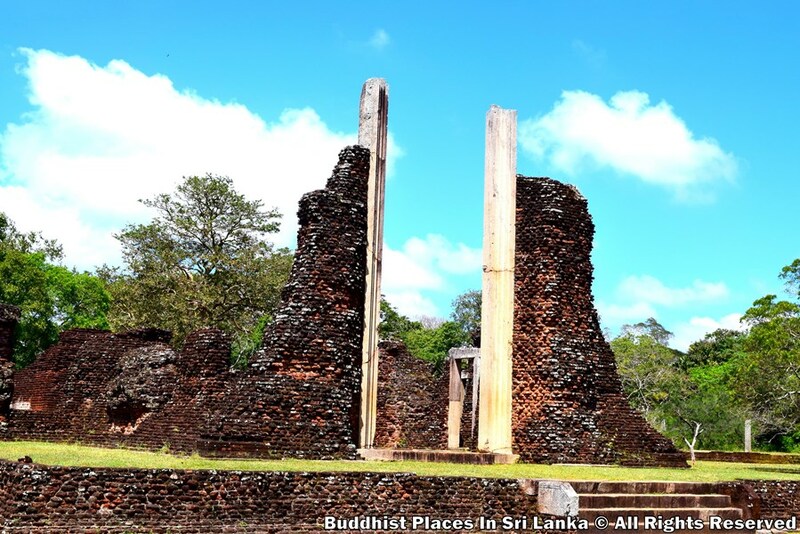 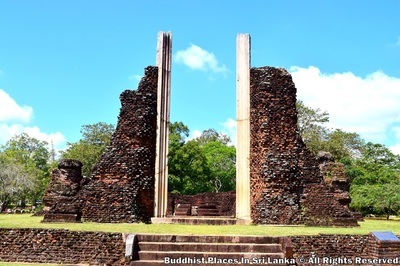 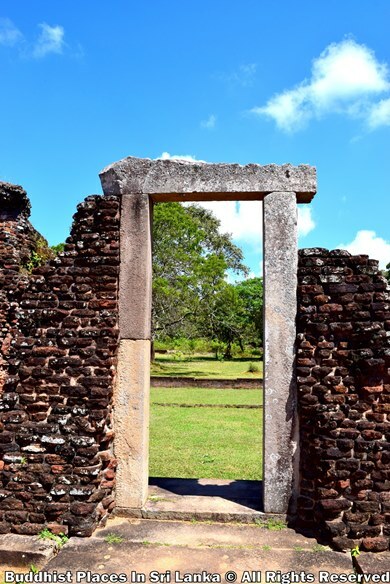 Stylistically it belongs to the latter Anuradhapura period. 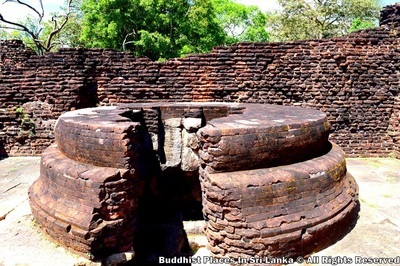 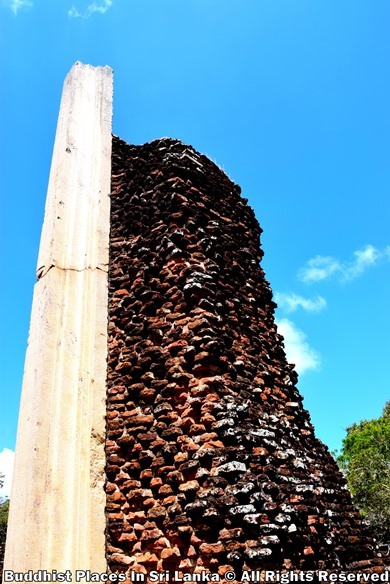 Judging by the size of the 3 meters tall stone door frame, stone reliquary and the lotus pedestal, this may have housed a colossal standing image of the Buddha. 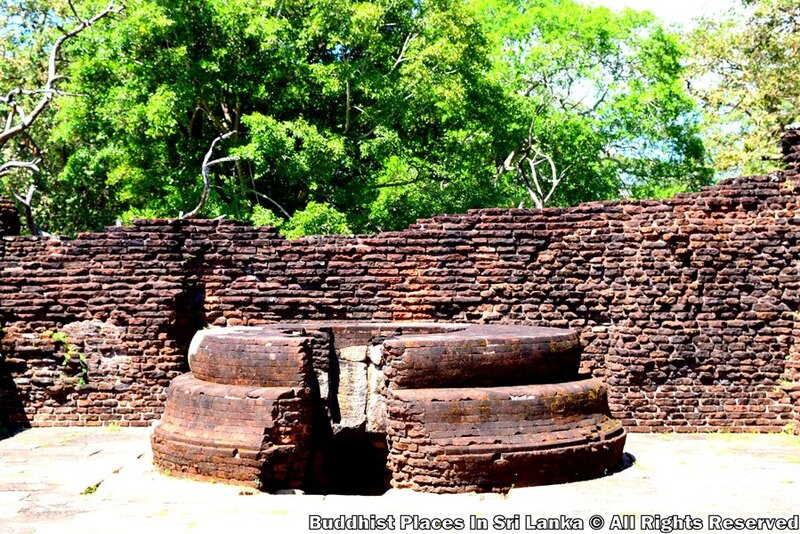 The sanctum is paved with stone slabs, which is surrounded by a circumambulatory path and in front there is a vestibule and an entresol. 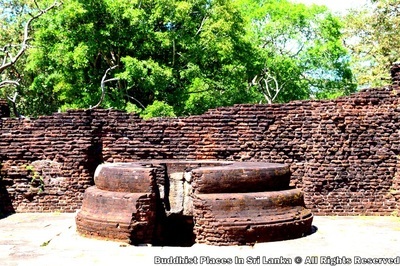 Indications are that the reliquary and the lotus - pedestal had been destroyed by fire. 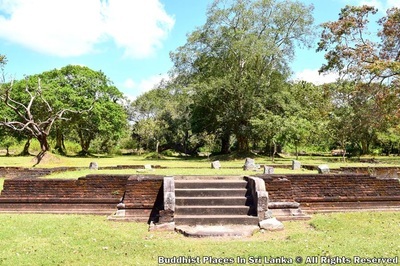 There is evidence that there had been two subsidiary image houses on either side of this shrine.